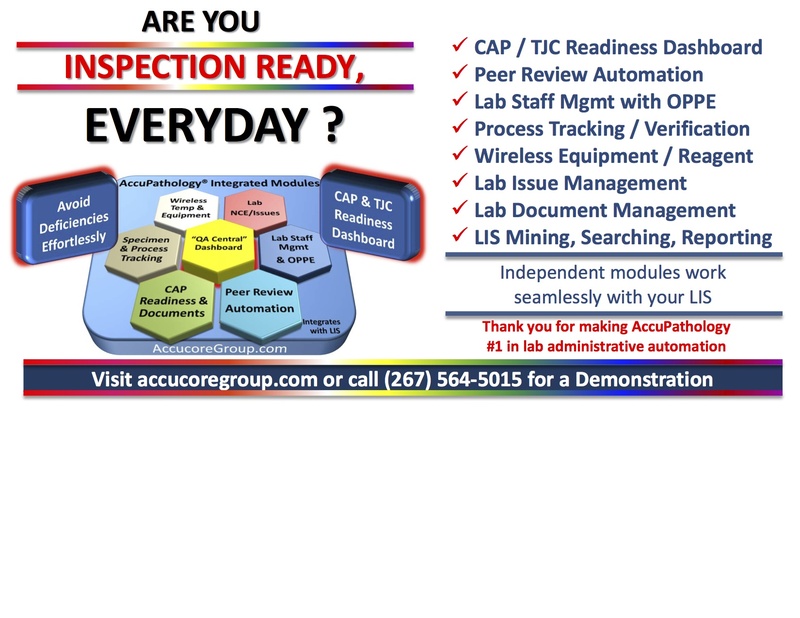 Visit accucoregroup.com or call (267) 564-5015 for a Demonstration. (1) Visit our Updates page to see what topics have been revised based on new articles, reviews or new images. 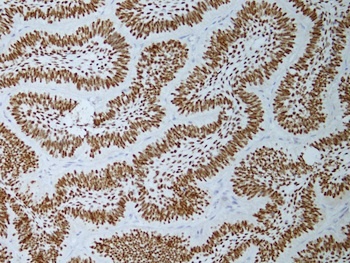 A 50 year old man presented with a right lung tumor, which as biopsied. 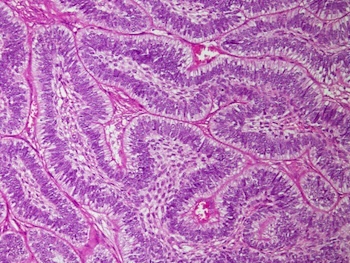 Grossly, multiple fragments of tumor measured 5 cm in aggregate. 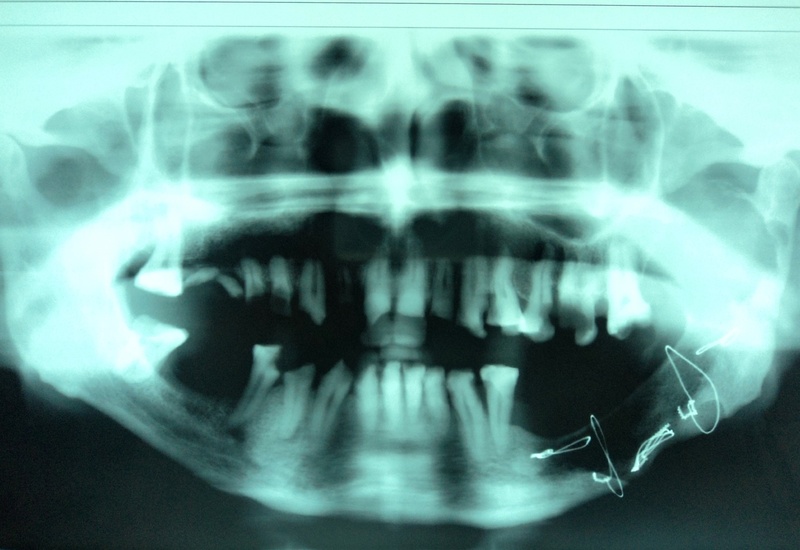 Ameloblastoma, previously called adamantinoma, represents 1% of jaw tumors and cysts. It occurs in men and women of all ages, with a mean age of 39 years. 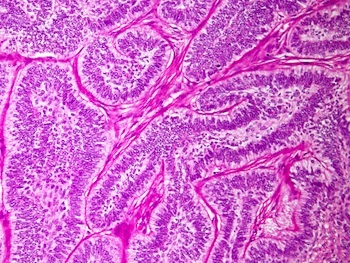 The tumor arises from remnants of ameloblast or dental lamina, dentigerous cysts, or the basal layer of oral mucosa. 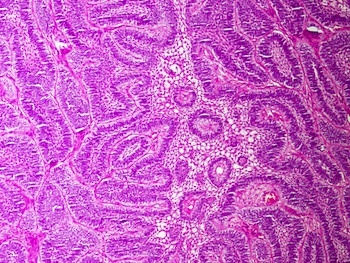 Clinically, it is slow growing and locally aggressive, with a recurrence rate of 25-35%. Metastases to lungs or CNS, as in this case, are rare (Rom J Morphol Embryol 2014;55:183, J Craniomaxillofac Surg 2014;42:e301, Int J Surg Pathol 2013;22:343, J Craniomaxillofac Surg 2012;40:e470), and are associated with tumor of long duration, multiple surgical procedures and radiation therapy. 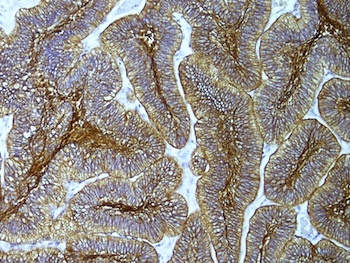 Metastases may be treated successfully by carboplatin / paclitaxel chemotherapy (Ecancermedicalscience 2013;7:323). 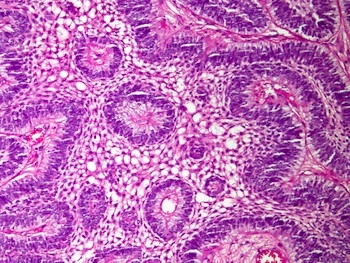 The differential diagnosis for pulmonary metastases includes primary squamous cell carcinoma (Korean J Thorac Cardiovasc Surg 2014;47:63) or a basaloid variant.